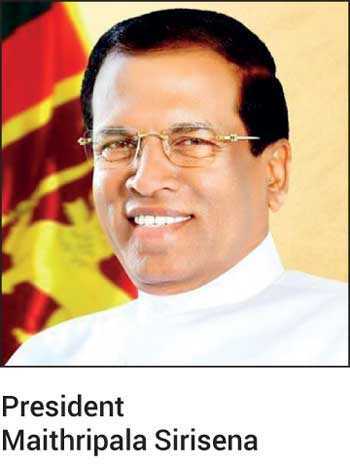 President Maithripala Sirisena is set to appoint a new committee to give recommendations to restructure SriLankan Airlines on Monday, the President’s Office announced yesterday. The committee, comprising of five members, will be required to present its recommendations to the President within two weeks and will accept suggestions and opinions on restructuring the national airline and then make recommendations to the President. The decision was announced after the President met with all stakeholders responsible for the struggling airline to review its status. The discussion focused on a number of issues faced by the national carrier and the impact of loss-making agreements, rising oil prices, rupee depreciation, and lack of proper technology and infrastructure, the statement issued by the President’s Media Division said. The UNP-led pre-26 October 2018 Government had appointed several committees to restructure the cash-strapped airline, including a high level ministerial committee headed by Prime Minister Ranil Wickremesinghe. The committee, on recommendations of the officials committee, which comprised of Government officials responsible for SriLankan Airlines, hired Nyras Aviation Consultants to carry out the restructuring program under a new Board appointed to lead the changes. However, it was learnt that the progress under the program had not been as expected. Finance Minister Mangala Samaraweera, Non-Cabinet Minister of Public Distribution and Economic Reforms Dr. Harsha de Silva, and State Minister for Finance Eran Wickremeratne, President’s Secretary Udaya Seneviratne, Central Bank Governor Indrajit Coomaraswamy, Heads of State banks, SriLankan Airlines Chief Executive Officer Vipula Gunatilleka, members of the Board of Directors, and representatives of the unions were present at the meeting.